A great night on Sunday March 17th at West Island School for the Mantas swimathon. The Mantas first handed a cheque from the proceeds to our charity representative. The Home Of Loving Faithfulness has been our chosen charity for many years now and swimmers last year rasied over $43,000. 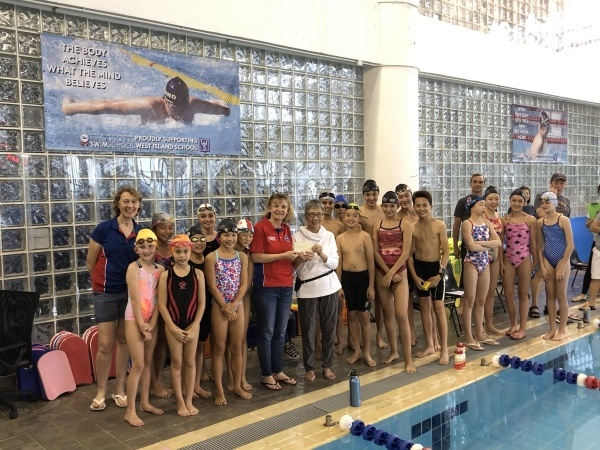 Swimmers covered distances of between 3-5km to raise money this year, and were rewarded with bag-tags! The Swimathon was followed by a short get together with drinks and Pizza!! Thanks to all the parents who helped with donations, and with lap counting on the night. Well done everyone!